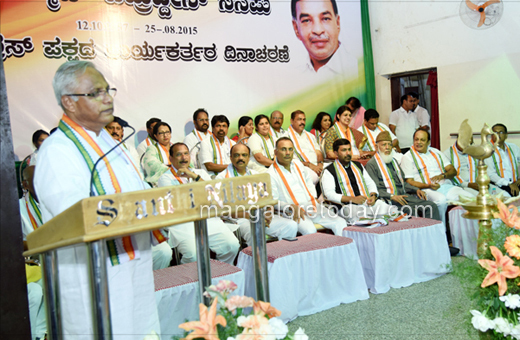 Mangaluru, Aug 25, 2018: A programme in memory of the late Congress leader Mohammad Badruddin and Party Workers Day was held at Shanthi Nilaya at Balmatta on August 25, Saturday. 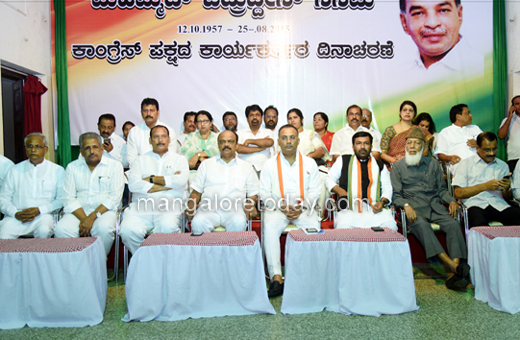 Speaking after inaugurating the programme, KPCC President Dinesh Gundurao described Mohammad Badruddin as a leader known for his hard work, patience and dedication. Badruddin had strived to develop the party at the grassroot level for decades, he said. 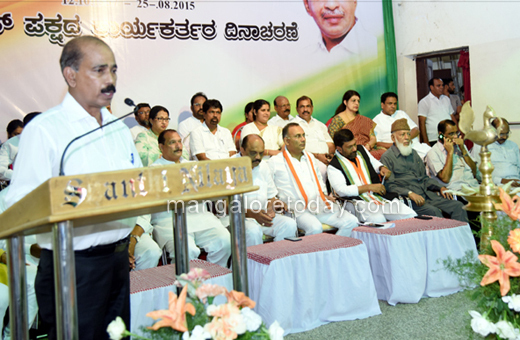 The party workers of today should understand the party’s ideology, objectives and contributions, he added. 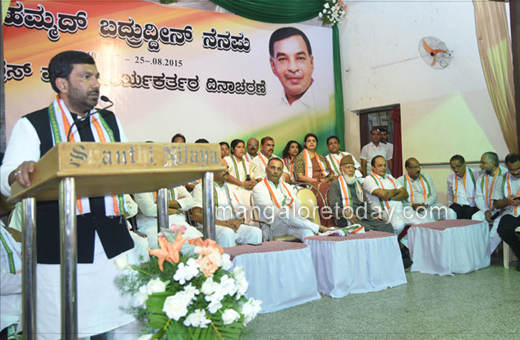 AICC Secretary Saleem Ahmed and former MLA J R Lobo also spoke on the occasion. 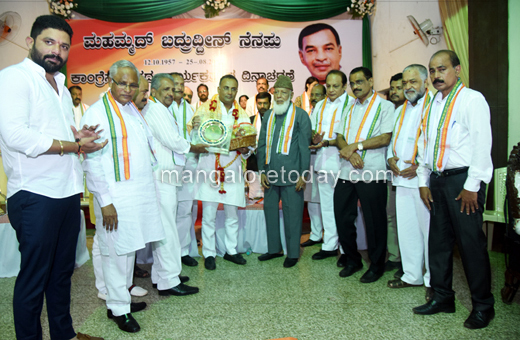 Dinesh Gundurao and Saleem Ahmed were honoured on the occasion. 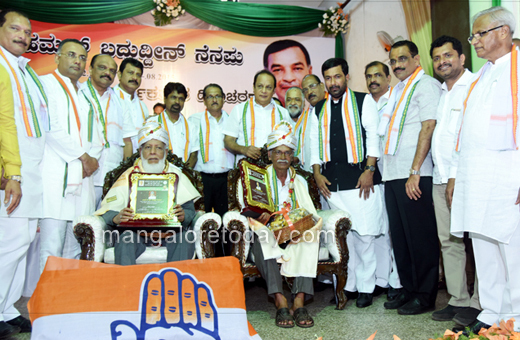 Outstanding party workers Sheikh Mohammad Masood of Karkala and Prabhaker Sriyan were conferred the Seva Sadhak Awards on the occasion. Seva Puraskar Awards were also presented. Shanthala Gatti who was elected the new President of the DK District Mahila Congress was handed over the letter of appointment by KPCC Chief Dinesh Gundurao. 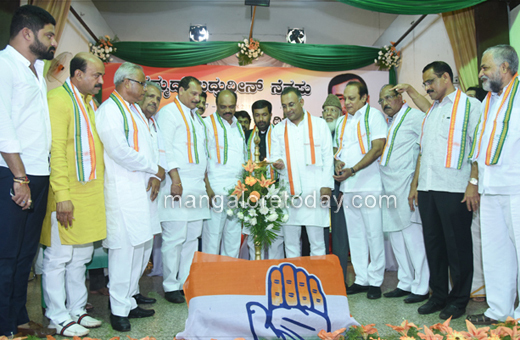 MLCs Ivan D’Souza, Harish Kumar, KPCC Secretary Rajashekhar Kotian, former MLAs Vinay Kumar Sorake, Moidin Bava, Vijay Kumar Shetty, late Mohammad Badruddin’s wife, daughter and several partymen were present.